One on one swim lessons are the most efficient. Due to safety precautions, semi-private and group lessons are only offered to children who can tread water, back float, and swim the front crawl. Thanks for teaching me swimming. I get better every time. The Finally Swim team prides itself on providing a nurturing approach to teaching children & adults of all learning styles and needs. Our goal is to create an enjoyable experience that will bring all children & adults to a higher level of safety, comfort, and skill in the water. With patience and perseverance, we aim for results, no matter how big or small, with every swim session. We set manageable and sequential goals for all swimmers, which in turn fosters a sense of self-confidence and desire to participate in all water related activities. After having participated in the Finally Swim dynamic, we believe that all swimmers will have further developed strength in swimming skills and knowledge of safety skills that will remain with them throughout their lives. An instructor will set up a schedule with you and begin lessons. After each lesson, the instructor will have you sign a receipt. Once payment is rendered, the Swim Instructor will contact you to set up your pre-paid appointments. Missed appointments may be rescheduled for an additional lesson fee; a refund will not be issued. Lessons are cancelled if you are 10 minutes late. Twenty-four hour notice is required for rescheduling and canceling lessons. We have had the pleasure of using Margarete for both Swim and Art lessons for over five years. She is an extremely gifted teacher who is truly enthusiastic and child friendly. Unlike most instructors who can’t or don’t want to support special needs students, she rises to the challenge. She has an extraordinary talent for working with those that have anxiety and/or fear of the water. She has infinite patience and understanding. 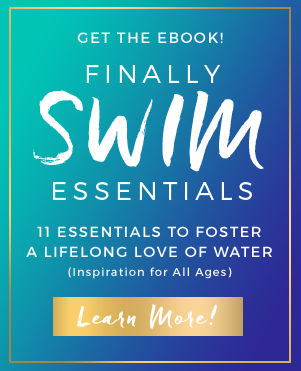 Margarete has an incredible gift for knowing how to adjust to each student’s individual requirements, be it someone learning to swim for the first time, to an advanced swimmer who just needs a good workout or wants to tweak their strokes. She knows when to push and when to hold back and to truly get the best performance out of her students. When Margarete is not available, she also has the knack of finding other remarkable instructors to fill in for her and takes the time to make sure they have been fully briefed on either you or your child’s needs, so you are not starting from square one. When friends and relatives come to visit in the summer, they always request that we set up a swim lesson for them too! Apparently we learned that some of our adult friends never learned to swim and were so grateful to work with Margarete to get over their fear and finally get into the water with confidence. She is all about water safety and we were truly grateful that she teaches her students what to do in case of a problem as part of the lesson. We were so excited to learn that when the swim season is over, we were able to take advantage of Margarete’s other talent, art. She is so creative in finding art projects that are both fun to make (even for boys) and look great afterwards. It is now a family holiday tradition to have Margarete come over and give a group art lesson to all of the children that range in age from preschool to college age. It has only been a delight working with Margarete and we give her our highest recommendation and gratitude. Gail R.